From day one, First Lady Melania has been about others, never about herself. She is the epitome of class. When she walks into a room, she need not say a word, all eyes are upon her. People know instinctively they can trust her. She truly is an amazing woman, a model not merely to look at but from the heart. 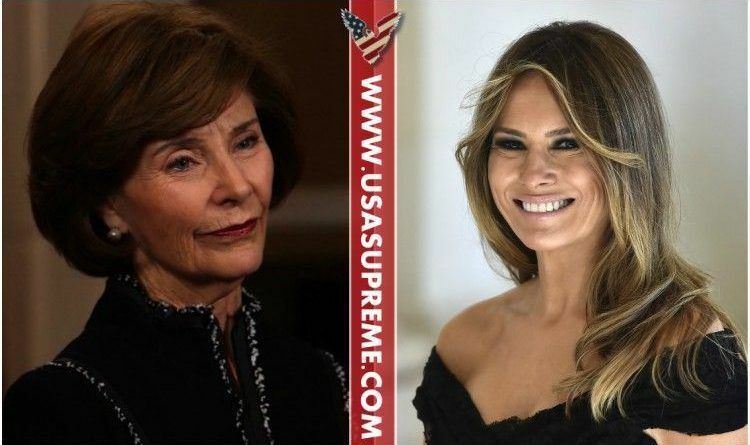 Former first lady, Laura Bush had nothing but good words and admiration for Melania Trump and the way she stepped as a first lady into the White House. ‘She’s done a lovely job,’ she said. Watch the video below! Bush also said she maintains contact with first lady Melania Trump. 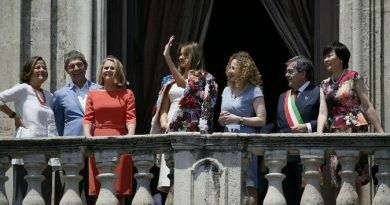 Bush added that she was welcomed back to the White House by familiar staffers’ faces in the Diplomatic Reception Room during her visit — the chefs, butlers, and ushers who were there when she was living in the White House. “I just think she’s done a lovely job. She’s a beautiful woman. She’s a wonderful representative for the United States,” Bush said. Laura Bush just showed why she has always been a class act. 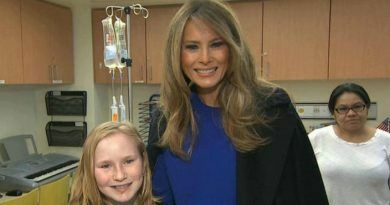 Melania is so beautiful, and she has a beautiful soul, demonstrating care and compassion for others. She reminds me of Princess Diana. 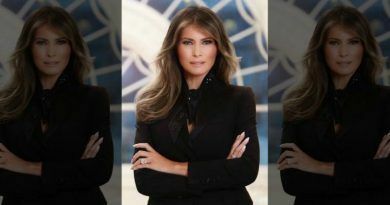 We are so blessed to have her for our first lady. When I think of her predecessor….in comparison….there are no words. Have so much respect and admiration for this kind and beautiful lady! Finally class is back in the White House!